Content here. Content here. Content here. Content here. Content here. Content here. Content here. Content here. Content here. Content here. Content here. Content here. Content here. Content here. South Florida Knows Beach Volleyball. 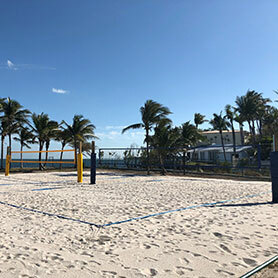 Sport Court South Florida specializes in creating your own custom beach volleyball court. 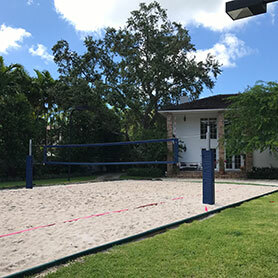 We provide everything including: excavation, high quality volleyball sand, and court hardware (Edge Guard, poles, nets, pads, antennas, court banners and netting enclosures). We also provide lighting packages for customers who wish to play at night. 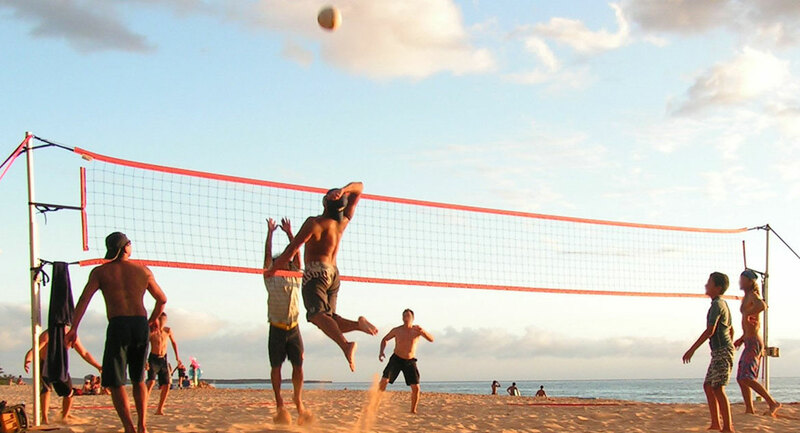 Beach volleyball is great for your cardiovascular system and helps to tone your core, glutes, lower back, thighs and calves, but in a low-impact fashion. You can also tone the muscles in your upper body: pecs, shoulders, arms and upper back. The benefits aren’t just physical; the game’s also a great way to improve hand-eye coordination and boost mental agility. Because of the work it takes to move through the sand, it’s a great exercise with players burning up to 550 calories per game.